Do you have clothing in your wardrobe, unworn due to a need of a replacement zipper? Perhaps you've donated or thrown away a clothing piece for the very same reason? Of course the likelihood is, a thrift store, opportunity shop or charity shop would discard of such pieces, rather than sell a broken clothing garment to the public. A few weeks ago, a friend gave me two of her son's jackets, for me to replace broken zippers. I have to be honest, I've always been a little intimidated by sewing zippers of any kind, although have successfully sewn a zipper into two dresses made from scratch seen here, and here. The task of replacing zippers to my friends children's jackets was far easier than anticipated, and filled me with a sewing confidence boost. 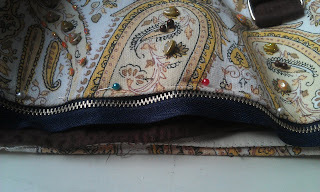 As such, I've repaired a zip on a satchel bag I bought about a year ago from Round She Goes second hand market. 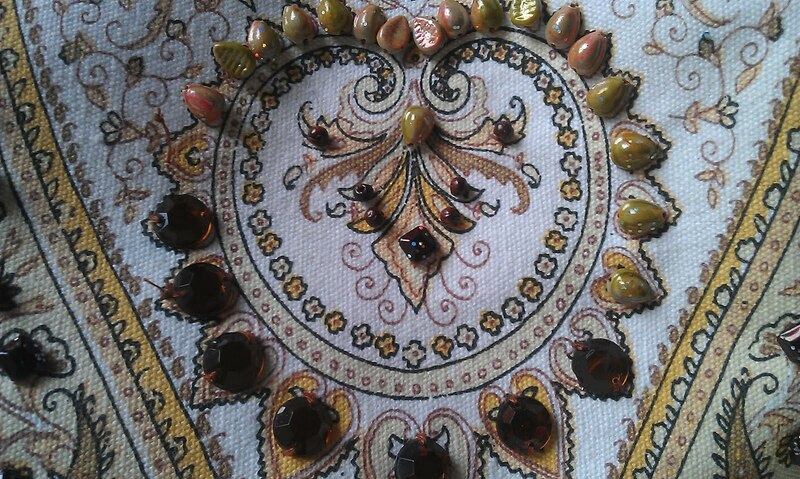 Attracted to its paisley pattern, shiny beads, and useful travel size, the bag cost me $8. Unfortunately, as with some second hand purchases, the zipper lasted a week. Having a rather large stash of op shopped zippers, collected for my zipper brooches, I found a replacement zip, in navy blue, not the perfect match, but hey, it fits perfectly. 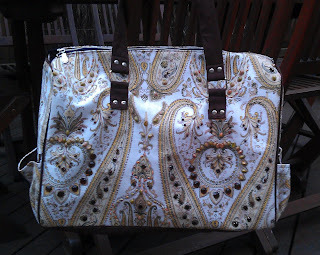 Happy to have the paisley bag back in action again. What do you do with clothing pieces in need of replacement zippers? I seriously need some lessons. Because at the moment I would probably pay someone at the dry-cleaners to do it for me - not thrifty! I haven't tried it yet. But I just purchased a 60's dress with a broken zipper this afternoon. So I am happy that you didn't have a hard time, I hope the same goes for me. 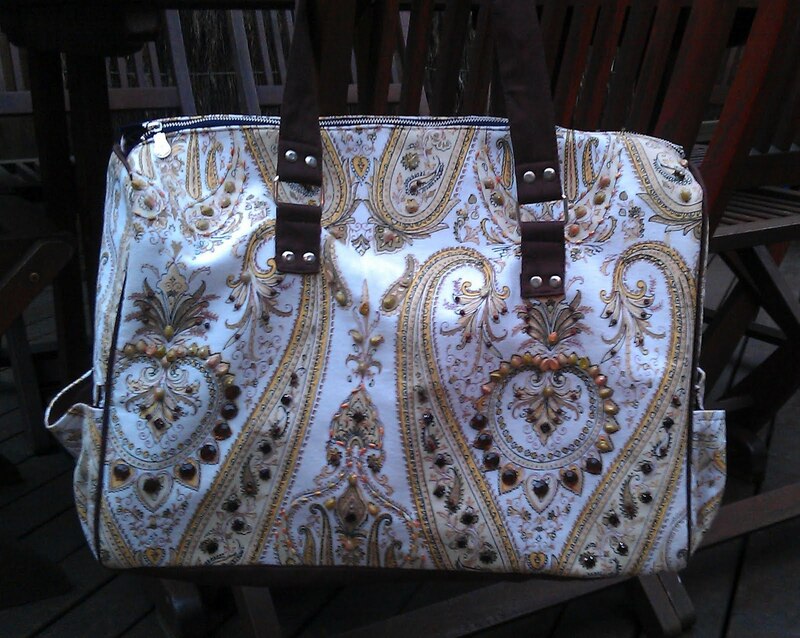 Your paisley bag is so cute! Your bag is beautiful Erica, I'm glad to see it back in action! My son had a Wiggles jacket that had been handed down to him from his older brothers with a broken zipper. I didn't have an open ended zip on hand, but I did have some velcro! I sewed on an attachment piece with three strips of velcro. Then three strips on the other side and it was good to go. 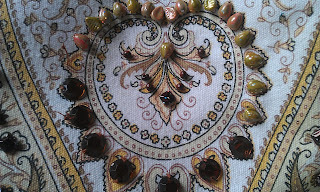 I'm a little nervous of replacing zippers, which is probably silly because I sew garments that need zippers all the time. I'm glad you replaced the zip on this fabulous bag though!